Pallasite meteorite. Close-up of the cut surface of a pallasite meteorite showing its structure. 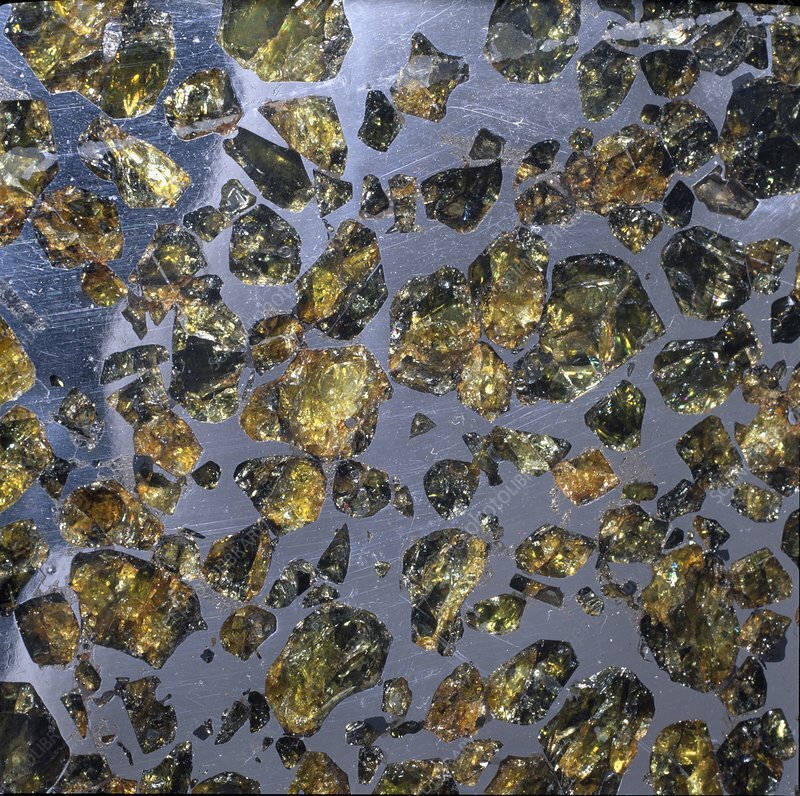 Pallasite meteorites are a type of stony-iron meteorite that consists of grains of olivine (yellow) in an iron matrix. Specimen held at the Natural History Museum, London, UK.